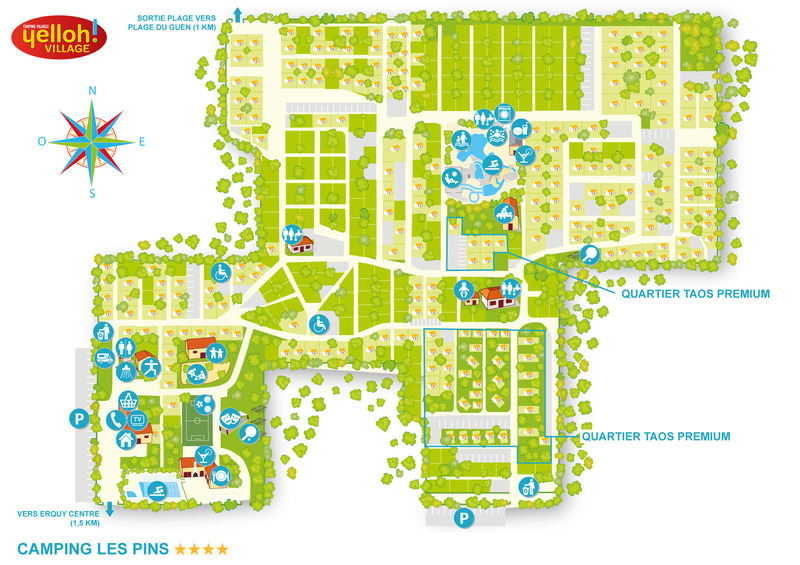 Enjoy a carefree stay, thanks to the wide range of services and shops available at the camping Les Pins. Experience a totally relaxing holiday here with us. Our staff at reception are on hand to listen, help and provide all the information you need. Enjoy the many services provided directly on-site, such as the laundry, baby kit or bike hire and the tourist information point. For extra convenience, a mini-market with everyday products and fresh bread is available, so handy for all those little essentials. Enjoy a truly royal camping holiday at Les Pins! The campsite restaurant will be delighted to welcome you to its warm friendly atmosphere. Savour the local specialties prepared by our chef to delight your taste buds: scallop skewers, seafood platters... Or make the most of the take-away service and order a pizza to enjoy on the terrace of your accommodation. Share some very special moments with the family or friends!